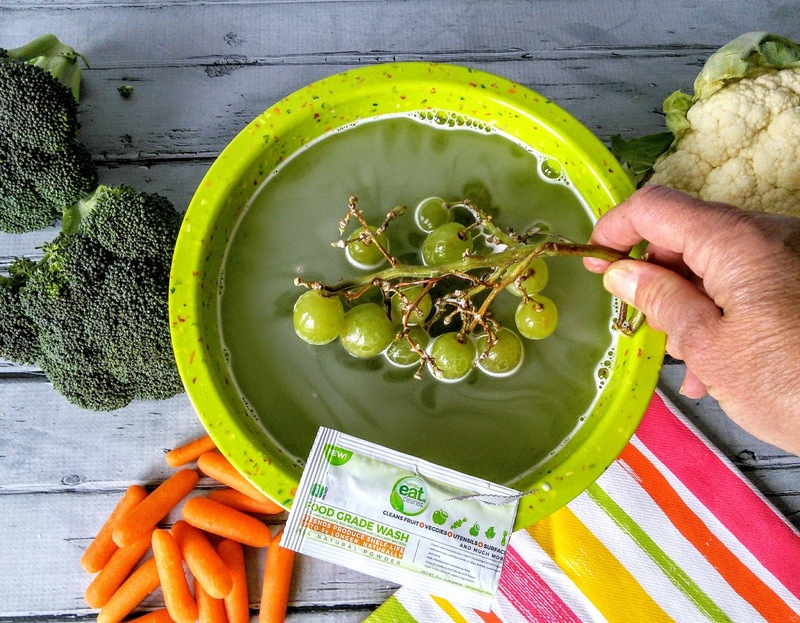 Do you worry about what could be on the fruits and veggies? I received a sample of Eat Cleaner to facilitate this post. Most people don't realize the hidden danger of bacteria that could be on their produce that they buy. Did you know that bacteria like Salmonella, E. Coli, and Listeria lurking invisibly on fresh fruits and vegetables, which are considered one of the leading causes of foodborne illness? Sad that we have to worry about these bacterias and the safety of our food. These bacterias could be on your produce for many reasons from the produce person not washing his hands to the store storing fresh vegetables near raw meat and so on. Yes, it happens. My local store was storing fresh veggies in the same bins that had raw chicken in it,eww! I will not buy my produce from that store as they are more concerned about sales than food safety. My husband who is a health inspector is working on that store violation. 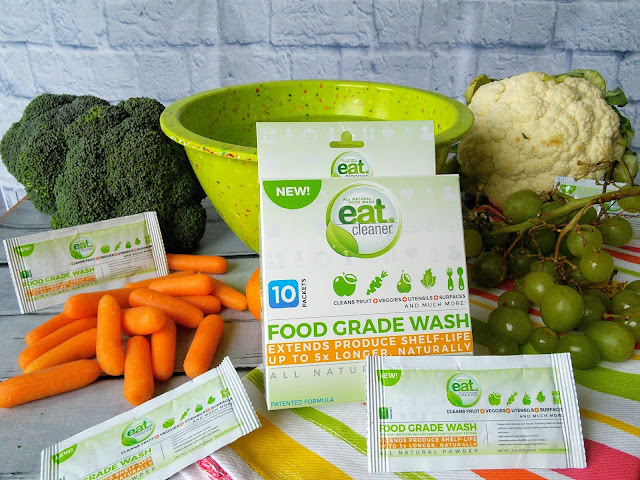 So now that you know that bacteria could be on your fresh veggies, I want to tell you about a food grade wash that I discovered that removes up to 99.99% of harmful residue like pesticides, wax, dirt, and bacteria. It also extends the shelf life up to 5x longer that plain water! Just dispense one packet of eatCleaner® food grade wash powder into a gallon of cold water, mix, and soak produce for 30 seconds. Rinse and store. I washed some grapes in the food grade cleaner and my kids did not taste anything but the fruit. This safe & effective cleaner can also be used on things like toys, binkies, cutting boards, and utensils! I love that the cleaner is vegan, glute-free, and has no GMO's!